Where your heart is, your home will follow. Where you as a parent put your heart, your family will be sure to follow. What motivates you to do the things you spend your time doing? These questions are so important, because Home is where your heart is. Your family needs you Moses. When we think about the freeing of the Hebrew children from slavery in Egypt, the first thing that comes to our mind is Moses. God met Moses at the burning bush. God empowered Moses to go back and face the Pharaoh. Moses was the one who led Gods people out of slavery. That is all true. However, Moses was not alone. Moses was not the only person that God used to free His people. In Exodus chapter 3 and 4, we see that Jethro gave Moses permission to leave his post in Median and return back to Egypt. Then later in life, Jethro gave Moses much needed advice on how to structure his leadership and delegate tasks to others. Aaron, met with Moses and became Moses’s spokesman. It was Aaron who spoke to the people and Pharaoh even performing great signs from God to legitimize Moses call. To free His people, God did not just use Moses. The same is true today. Many times when we think of great exploits in companies, or churches, we typically think of Bill Gates, Steven Furtick, Craig Groeschel, the Moses type leader that accomplishes the impossible. Was Moses a great leader. Absolutely! Did Moses do what he did alone. Absolutely not. In fact, that is one of the things that made him a great leader. He allowed the people God had placed around him to play their part and do what God had empowered them to do. Bill Gates, Craig Groeschel, Steven Furtick, the author that you love to read, the pastor that stirs your heart, are they great leaders? Absolutely. Do they do it alone? Absolutely not. That is what makes them great leaders. They lean into the people around them. Releasing them to play their part, to do what they are called to do. Did you know that you are Moses? God has called you to lead your family. Don't be afraid. Look around you. If God has called you, He has also called others to come around you. Not as servants, but as partners. Moses had Jethro and Aaron. Who do you have ... I think if you look around, you might be surprised who is standing there. Your family needs you Moses! Go lead them. 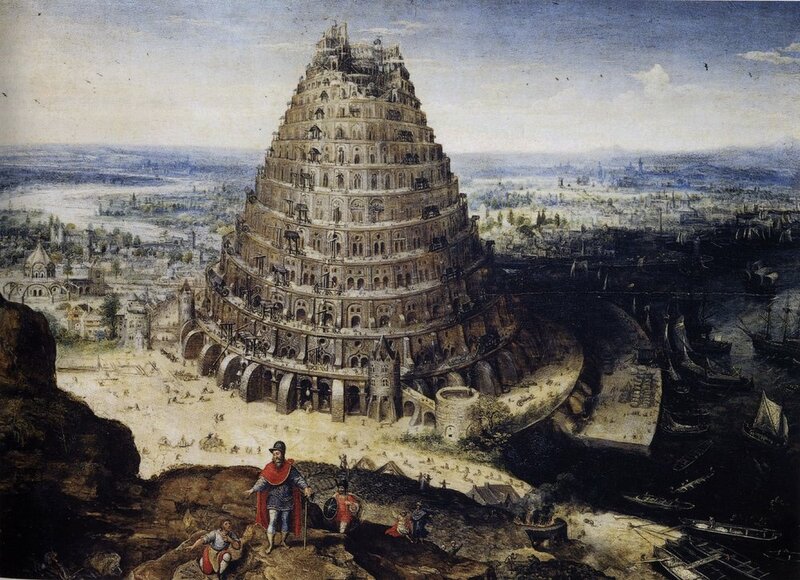 Lessons for you and your family from the tower of Babel. A few weeks ago, I was reading in Genesis Chapter 11 about the Tower of Babel. I’ve always found this story very interesting! I wrote about this on my personal website at growmoore.org and thought this would be something that could be thought provoking for parents and grandparents as well. Three things every daughter wishes her daddy knew.